So, when it comes to putting food on the table, I look for options that are delicious and nutritious while also being fast, easy to prepare, and convenient. 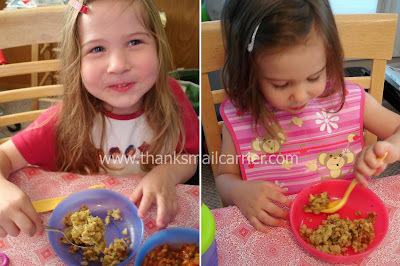 Instead of the same old mashed potatoes or other standard side dish, one thing that I know that is going to be a hit with my kids (and my husband) is stuffing. And as quick and tasty as Stove Top was before, now that we have tried Stove Top Everyday Stuffing Mix, I don't think that dinner will be the same again! 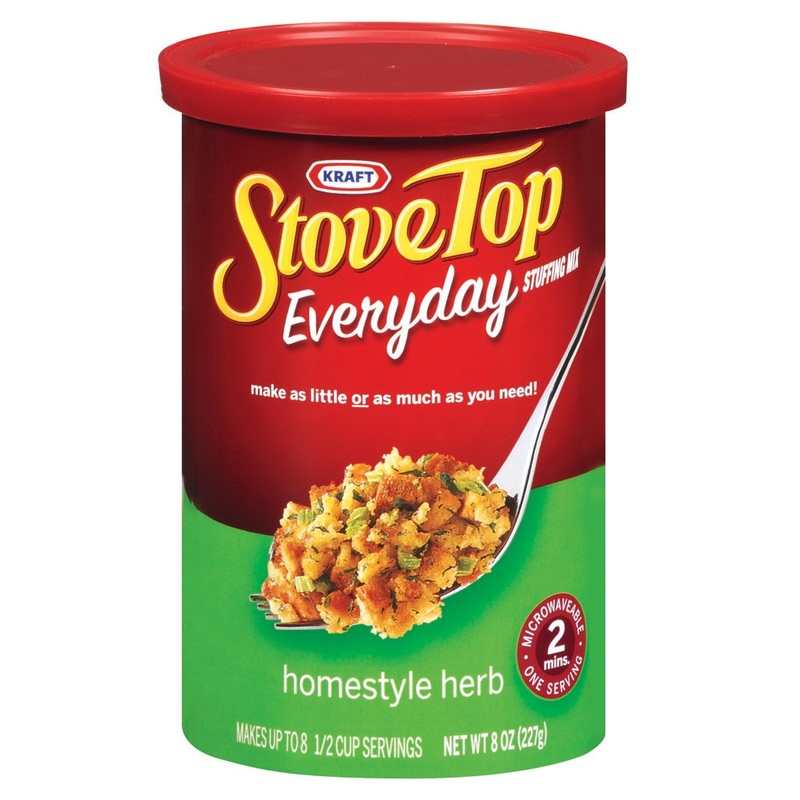 Available in a convenient, resealable canister, Stove Top Everyday Stuffing Mix makes it easy to liven up a boring dinner in minutes with just the right amount for your family. Whether making one serving or four, being able to pull the container out of the cupboard and know that the resulting stuffing is going to be always be fresh and yummy is something that I appreciate. Stove Top Everyday Stuffing Mix comes in two varieties, Chicken (in an 8oz or 12oz size) and Homestyle Herb (in the 8oz size) that are both full of flavorful herbs and spices and go great alongside any number of main dishes. I love being able to prepare this tasty stuffing right in the microwave in two minutes and know that my kids are going to be thrilled to find it on their plate. Not only that, for creative chefs out there, it is easy to stir in mix-ins like vegetables, nuts, cheeses, meats or fruits to take an already-loved item and make it even better. Having had the opportunity to incorporate the Chicken flavor of Stove Top Everyday Stuffing into more of our meals lately, I'd say that it has definitely been a hit! 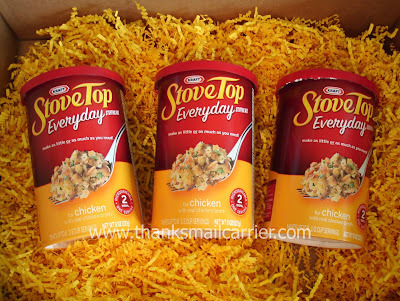 Whether dinnertime is a relaxing, main event for your family or a busy time that comes together at the last minute, Stove Top Everyday Stuffing Mix can easily be incorporated into most any recipe to make an everyday meal tastier and more exciting. Check out StoveTop.com as well as Stove Top on Facebook for recipes, meal ideas, and special offers that are not to be missed! 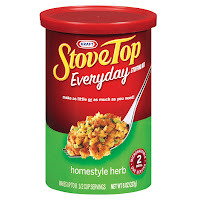 Retailing for $2.49 for the 8oz canisters and $3.49 for the 12oz size, keep an eye out for Stove Top Everyday Stuffing Mix at local grocery stores everywhere. I can't believe they just eat it in a bowl like it's cereal!